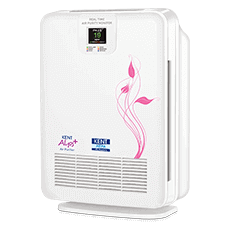 An advanced RO water purifier with in-tank UV disinfection and multistage purification process. 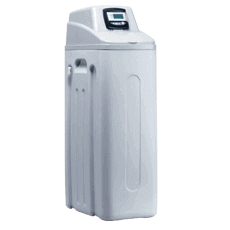 The water purifier is ideal for purifying brackish, tap and municipal corporation water to make it safe for consumption. 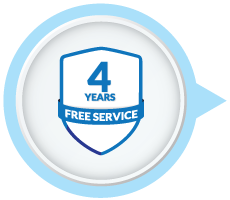 Now enjoy extended happiness and peace of mind with KENT’s 1 year warranty and 3 years of free service, applicable on all KENT RO water purifiers. 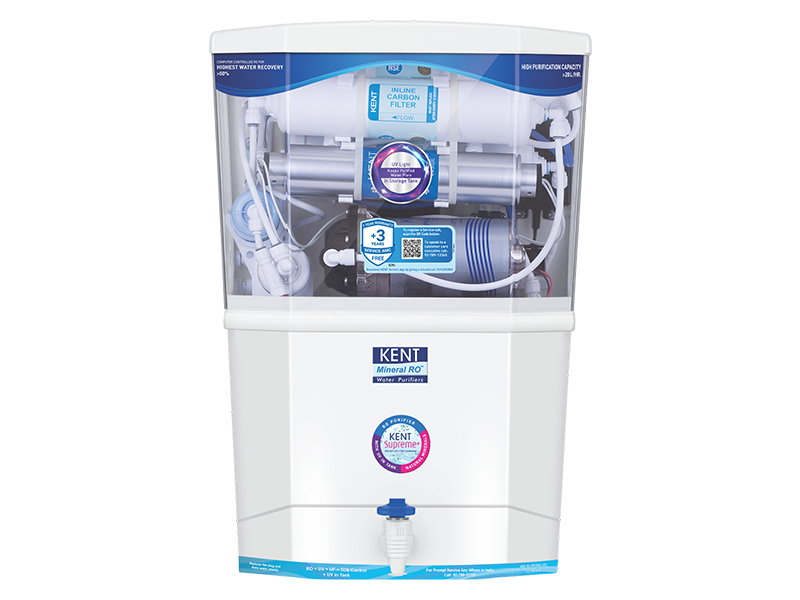 The water purifier is equipped with KENT’s patented Mineral RO TM technology with purification of RO+UF+UV and TDS Controller retains essential natural minerals in water and provides 100% safe and clean water. 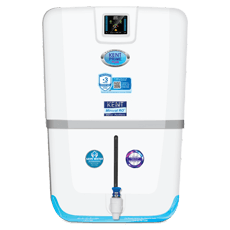 The TDS controller of the water purifier retains essential minerals and makes water healthy for consumption. 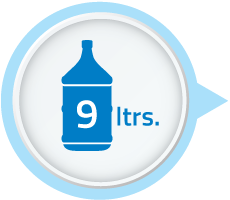 For the convenience of the users, the water purifier comes with a high storage capacity of 9 litres. 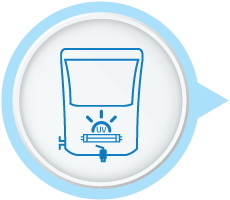 This ensures that you get continuous supply of purified water even in the absence of electricity. 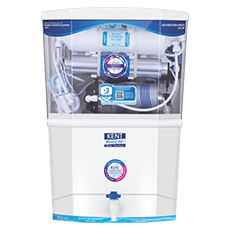 Conventional RO purifiers reject a lot of the water and retain only a small quantity of water as purified. 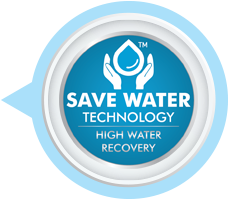 KENT’s Save Water Technology uses a computer-controlled process to recover more water as purified. 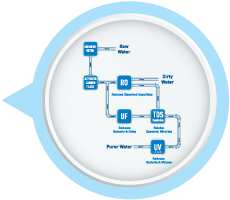 The rejected water is stored in a separate tank which can be utilized for mopping and washing. 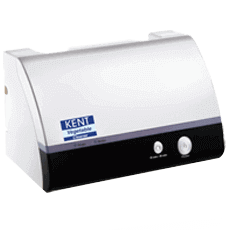 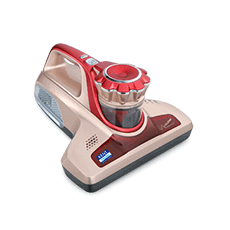 KENT Supreme Plus is India’s first water purifier with in-tank UV disinfection technology. 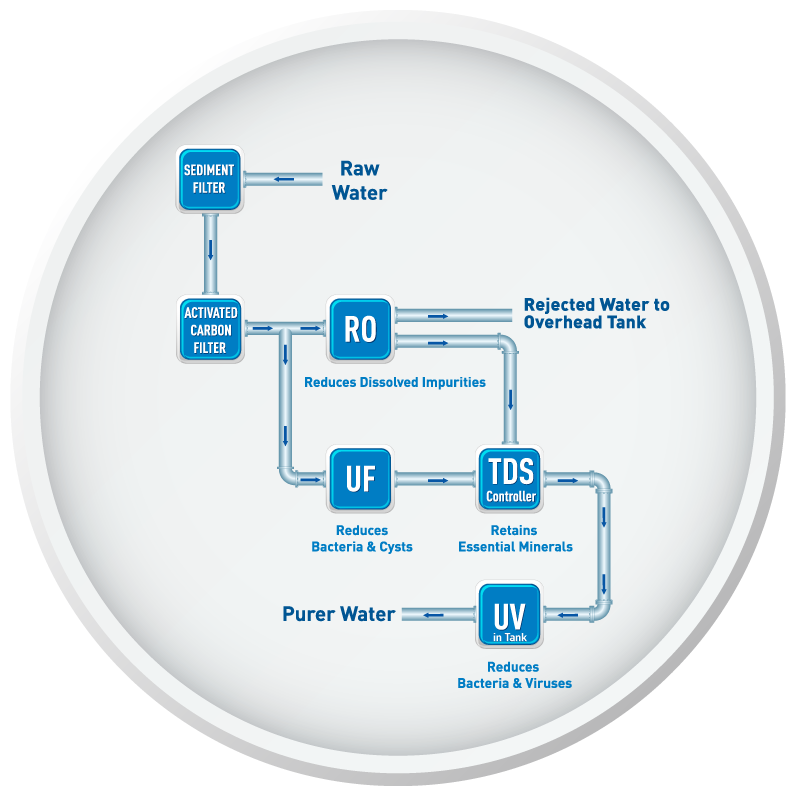 The unique feature keeps the stored water in tank safe for consumption.